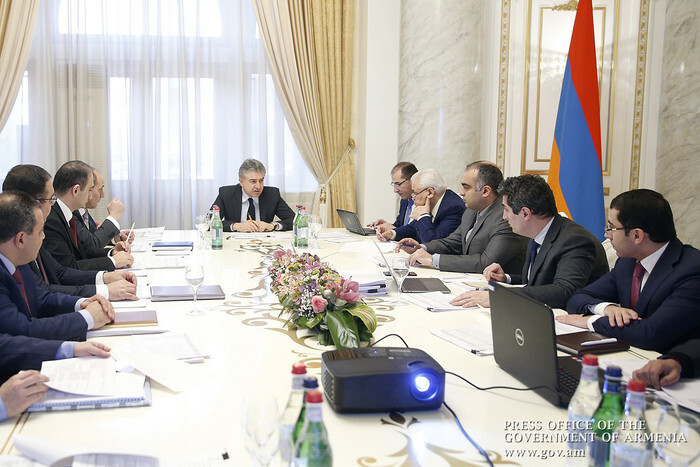 Today, Prime Minister Karen Karapetyan chaired a discussion on the draft of “Armenia Development Strategy 2030,” which was developed in accordance with the Prime Minister’s instruction of September, 2017. The strategy covers a range of areas, including economic development, culture and national identity, environmental protection and natural resources, public and territorial administration, education, science and innovation, human rights, rule of law and justice, defense and security, infrastructure, and social services. Preparatory work on the document started early last year and, as instructed by the Prime Minister, working groups were set up in September to hold topical discussions in cooperation with the Center for Strategic Initiatives. During the meeting, the heads of a number of public agencies and government departments expressed their opinions and comments on the document.